As the bus stopped on the way to Thrissur in Kerala it was at the famous Palghat Gap , the only break in the Western Ghats where the elevation drops to 300 metres . To the North and the South high mountains rise holding back the monsoon rains from the mainland and converting it to a rain shadow zone. However it is from this gap that monsoon winds rush in inland reach mainland India first from the coast. The pre-monsoon clouds assisted by the wind were rushing through as though to set up appointments for the rest of India with the real monsoon on its way. The Indian Metrological Department predicts that the monsoon will arrive on the coast of Kerala at its appointed day June 1st give or take a few days. It is time therefore to prepare to receive the monsoon. The next 60 to 120 days is when the country will receive its annual quota of water in the form of rain. 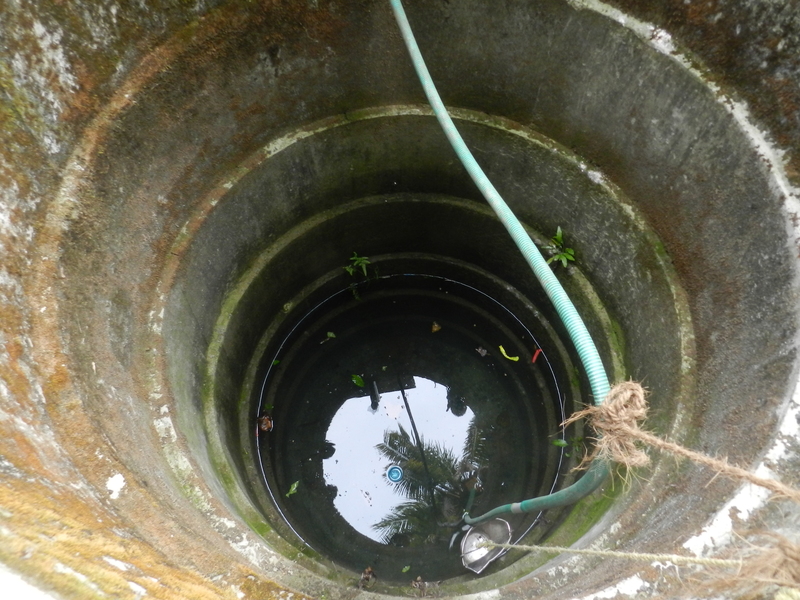 In the district of Thrissur with a large number of dug-wells, a programme called ‘Malazhpolima’ has been running for some years. Households, whose wells go dry in summer or who have iron and salt in their well water, are assisted in picking rooftop rainwater, filtering it and leaving it to the wells. This simple and economical technique recharges the aquifers, improves the well water level and changes the quality of the water making it drinkable. Wells here has a tendency to go dry during the summer months of February, March and April. With the ‘Mazhapolima ‘ approach however any pre-monsoon shower is not allowed to go waste and is capture to recharge the well. Many families reported the benefits of the scheme. 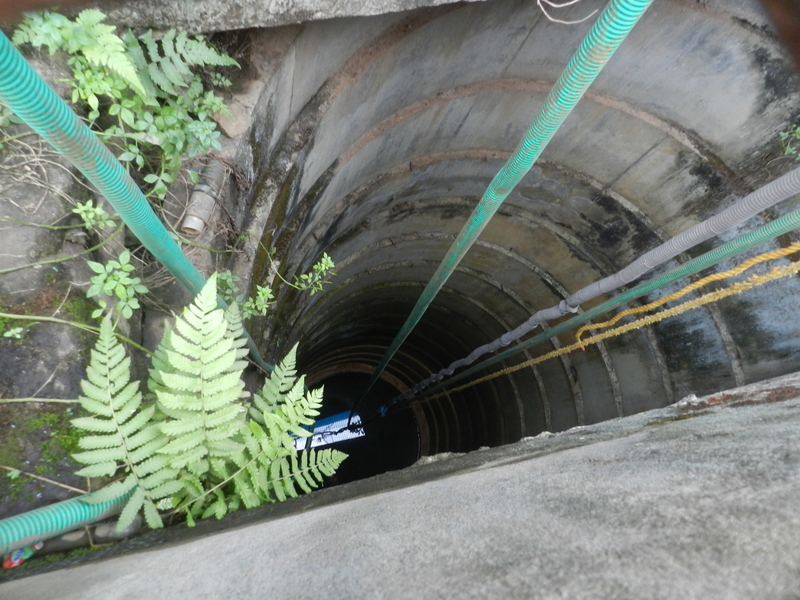 Kerala has over 6.60 million wells according to a study conducted as early as 2007. This makes it the highest density of wells in the world. With a simple method of rooftop rainwater harvesting, keeping the roof clean, providing a simple filter and leading the rainwater into the dug-wells water security can be ensured for the whole year. This would be a fitting way to receive the monsoon this year too especially in areas where wells are prone to become dry or have bad quality water. Simple precautions include keeping a fine net on the well to prevent leaves from falling in and from mosquitoes breeding. Kerala has 6.6 million wells ..but water levels are falling. Iron and salinity reported in some. It is the same for other places too. 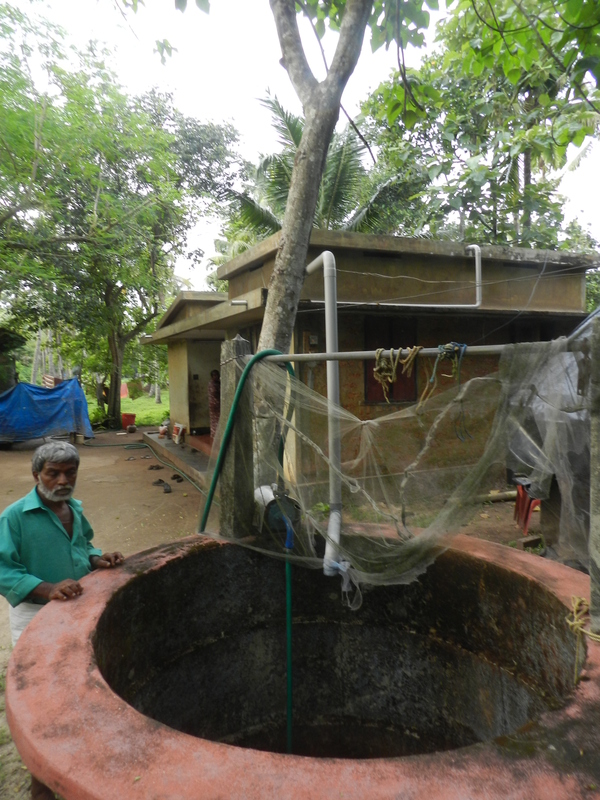 All bore-wells can do a ‘Mazhapolima’ and connect the rainwater through a filter to the casing thereby recharging it. This is the time to get the work done for the bounty of rain will come now. Rooftop rainwater through a 2 inch diameter pipe is led directly into wells to recharge it. Those who have connected the rooftop to sumps , it is good to clean up the roof, the pipes and the filters and the sump itself and be ready to collect or recharge the monsoon. The filters are simple. 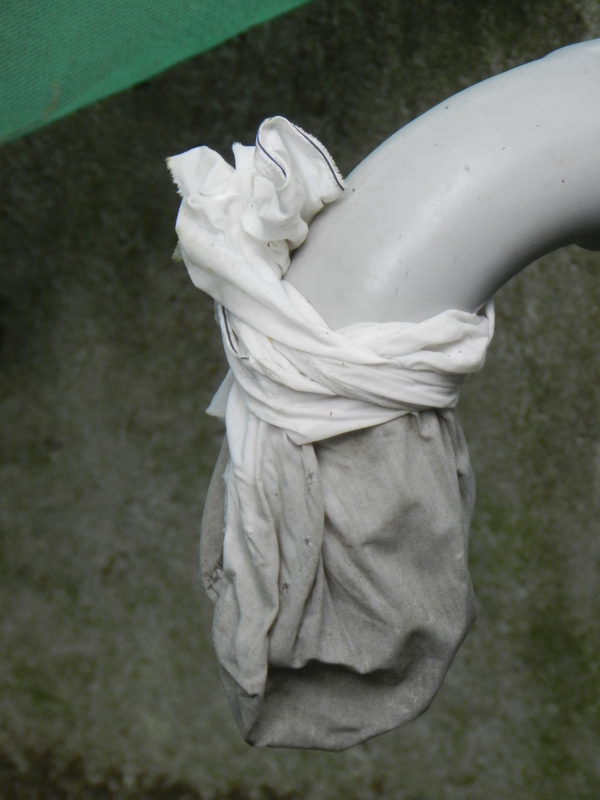 A clean roof , clean pipes and a cloth tied at the end. Storm-water drains need to be ready to receive the down-pours and direct them to de-silted lakes. Watersheds have to be kept ready too to conserve both water and soil as locally as possible. This is India’s biggest project, connecting the sky to the land, ensuring that every drop of water is collected or recharged and that the thirst of the land is sated plus something held back for the future dry months. It is even bigger than any inter-linking of rivers. It is called rainwater harvesting. In this every one of us can be a participant and not a spectator. Playing an active role in collecting and storing rainwater is displaying water wisdom. Water literacy, knowing all about water in nature, its role, its function, how we use it, how we abuse and what needs to be done to respect it are something best taught at a young age. This became abundantly clear when one led a bunch of 16 excited school children around a restored lake in Bangalore. An open well downstream of Jakkur Lake. Charged through treated waste-water and wetlands. 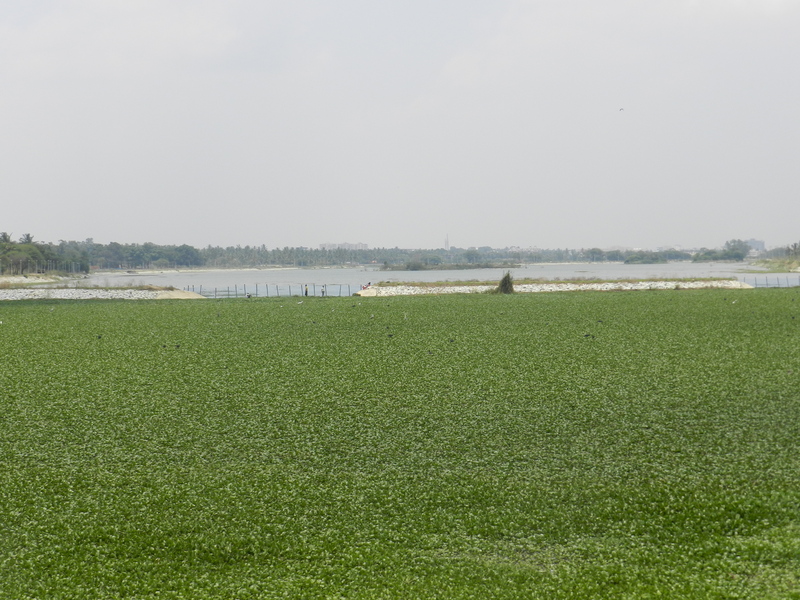 Much work had been done to fence of the lake, create and strengthen the bund, make some islands for the birds and zone it in such a way as to have a complete wetland area near the inlet and a well spread water body towards the downstream part of the lake. The recharged waters had filled up a well full of fish. The lesson to the youngsters became clear. If you work on a recharge structure, the lake, you will have clean water in your wells throughout the year. The well itself talks to you and communicates the need for behavior change. It tells you about the approach of summer, the water levels recede. You then as a user have to be careful how much water you draw. Well water can be drawn without electricity; it has therefore very low embodied energy. There is a science, a skill, an art and effort in understanding where to dig for a well and then to line it with stones. This skill has been mastered over centuries. 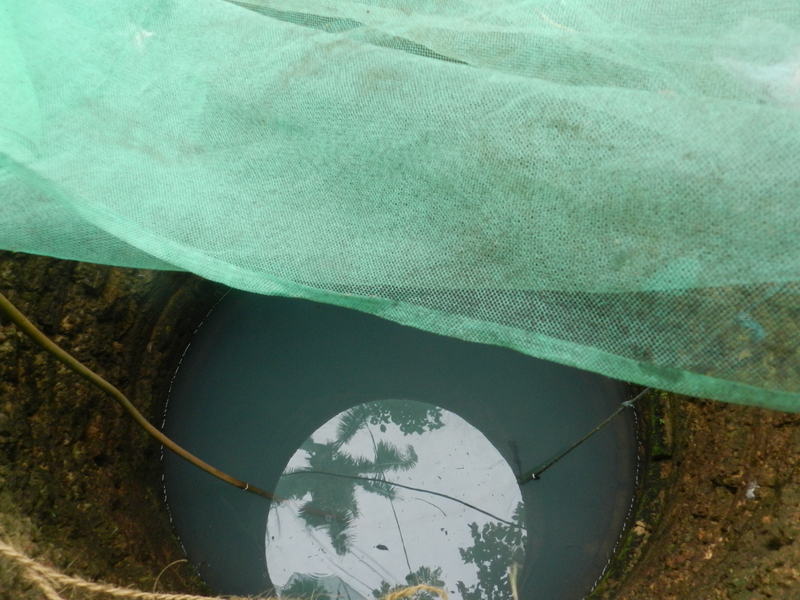 The fish in the well keep it free from mosquitoes, can be caught and eaten and also indicate the quality of the well water. If you pollute the lake or the surrounding or throw garbage there will be no clean water in the well. The need for protecting the catchment and the well itself becomes clear. Ours was a city of lakes. 262 in the year 1961, now down to 80 or thereabouts. The role of the lake in the city ecosystem, the need to preserve it and the benefits it brings such as the huge number of birds, water for irrigation, recharging the groundwater and a place for recreation such as fishing, swimming and boating was something the children could easily see. A discussion with the local fishermen with their coracles taught them about livelihoods based around lakes. Then we walked to a sewage treatment plant. That each one of us when we used water generated sewage was clear but how was it treated? The process of primary treatment and secondary treatment using the Up-flow Anaerobic Sludge Blanket or UASB was something the children were seeing for the first time. This treated water was then being released into a wetland where the flourishing plants further treated it and improved its quality. The waters then reached the lake and by the time it infiltrated through the ground and emerged in the well the earth had filtered it clean. Waste water was now well water ready for use. Questions emerged thick and fast. Why were we not protecting all our lakes? Why did we not have sewage treatment plants with all our lakes? Why was there waste-water flowing in drains? Was it OK to wash clothes in the lake? Why were people throwing plastic in the lake? Young restless minds were ignited. The city has been doing wonderful things such as pumping water from a 100 km. to quench the peoples thirst. It has also set up a beautiful rainwater theme park just to educate and communicate water literacy. If every citizen becomes water literate and especially if school children see wonders of nature at work as well as the possibility of human beings cleaning up their act and protecting the environment then there is hope for sustainable water management for the city and for the country. That is water wisdom. Almost ubiquitous all over the city the bore-well used to symbolize independence and self sufficiency in water for many households and apartments. Never mind if the city water supply did not give water on a day, switch on the pump and you had as much water as you needed. Given that the city utility did not give water for new constructions every house and apartment that was getting newly built drilled a bore-well almost even before the ‘Bhoomi Pooja’ and the excavation for the foundation. No more is this independence and self sufficiency true. The city has now a staggering 370,000 bore-wells to 500,000 bore-wells depending on who is doing the guesstimating. Many of them are unfortunately also going dry. Those in the old part of the city like Rajajinagar or Jayanagar were drilled at a time when groundwater was available at an unbelievable 100 feet or at best 150 feet. These old bore-wells from the 80’s and 90’s are being affected first as the groundwater table declines in the city centre too. Those on the periphery of the city are being drilled to depths of 1200 feet sometimes. Staggering and unimaginable depths which need lots of energy too to lift water from such levels. These newer bore-wells too are going dry faster simply because of the uncontrolled numbers in the periphery where the city water lines do not reach and therefore the dependence on groundwater is almost cent per cent. So what needs to be done about it? At the individual building level every bore-well must have a recharge structure. Rainwater from the rooftop must be filtered and led in to the bore-well to recharge it. A slug test , filling in a certain volume of water and measuring how long it takes for the bore-well to absorb the given volume, establishes the acceptability and rate of recharge of bore-wells. This must be done first before the rooftop rainwater recharge system is put in place. Recent slug tests have indicated a rate of recharge of 9000 litres per hour in some bore-wells tested. This will vary from bore-well to bore-well however and each should be tested before it is recharged. What a 9000 litre per hour recharge rate indicates is that a 100 sq mt roof area can be connected through a filter to the bore-well and it will be able to absorb the heaviest rain intensity in Bangalore which is 90 mm/hour. At any rate it can also handle the heaviest rain in a day reported which was 180 mm , this probably occurred over 6 hours. 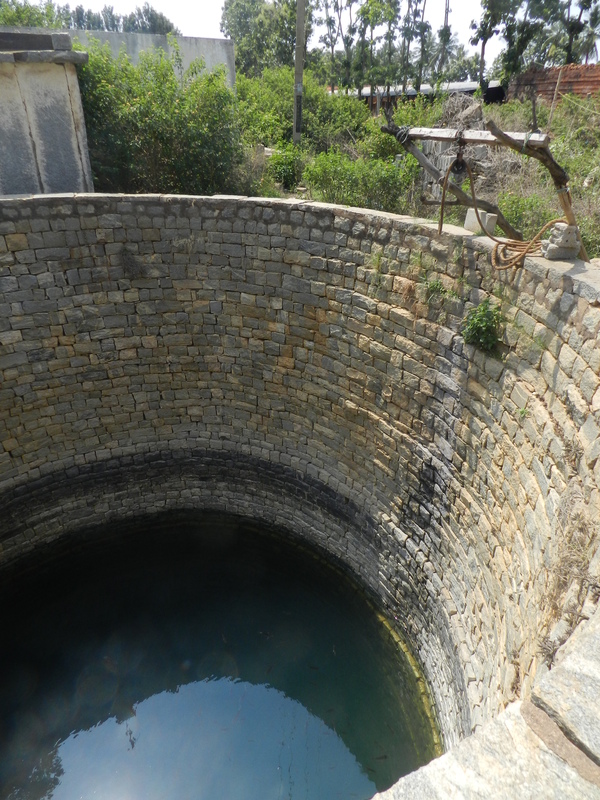 While direct recharge of a bore-well may have a certain risk in terms of silting up or air locks it should not be such a problem for a dried up bore-well or one which has started to yield less water. Indirect recharge through a recharge well adjacent to the bore-well is one another method that can be followed. The best however seems to be a combination of storage of rainwater into a sump tank and recharge of the excess water directly into the bore-well. At larger scales, recharging storm-water through recharge wells and de-silting lakes are broader measures that need to be taken in a city fast crusting up and permitting no place for water to seep in to the ground. 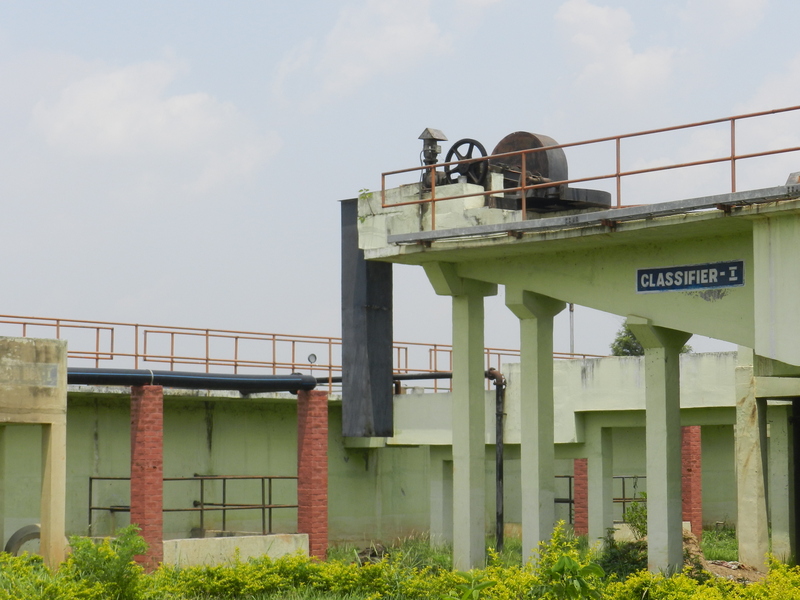 At current costs the investments made by citizens and institutions in groundwater abstraction structures could be a staggering Rs 5000 crores in the city alone. All this would be dead capital if our groundwater runs out. It is in the interest of every groundwater user that recharge be taken up at a massive scale and that abstraction be limited. The entitlement of every groundwater user can be no more than what the user recharges and puts back into the groundwater bank. That is the law of nature and ecosystems. That is water wisdom. The peak of summer is May but in Bangalore it is also the season of the thunderstorms. As the city waits for the onset of the monsoon only a few weeks away many of its smart people are already preparing for the rains to ensure that a water buffer is built up and water shortfall overcome. The metro is busy expanding its rainwater harvesting programme. All the good thundershowers and rain on the clean surface high over the roads can quickly convert to a flood below on the roads. By building a combination of storage and recharge systems , including recharge wells that will send the rain into the groundwater, the Namma Metro will become the first in India to systematically harvest rain. Millions of litres of water will be added to the groundwater and many a bore-well recharged thanks to this utilities efforts. A large residential layout sprawling over 40 acres and comprising nearly 300 sites near Doddanekundi is busy building recharge wells and ensuring that not a drop of rainwater goes out of the land. Slowly but steadily over the last 3 years, 23 recharge wells have been built. Every rain sees the wells fill up and recharge the aquifer. The bore-wells in this part of the city are all going dry and private water tankers ply all around but not in this layout. It is possible that all layouts can be like Ferns Paradise if only the residents team up and take the bull by the horns. 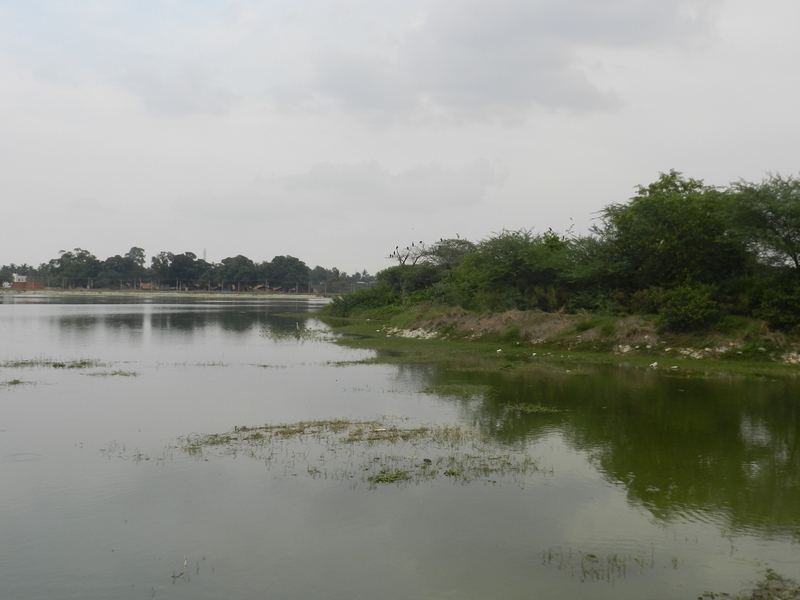 The very interesting anonymous group on Facebook called the Ugly Indian whose slogan is ‘mooh bund kaam chaalu’- closed mouth and only work – has a busy bunch of volunteers cleaning up Bagmane Lake. If the tank is clean and ready to receive and recharge good groundwater it will only benefit the residents nearby. Good work is its own reward but the benefit of a recharged groundwater is a bonus. The Rain Centre in Bangalore is organizing a training programme for the engineers of the BBMP and the BDA , especially those in charge of parks. The idea is to ensure that all parks harvest rainwater to fulfill their own needs at least. 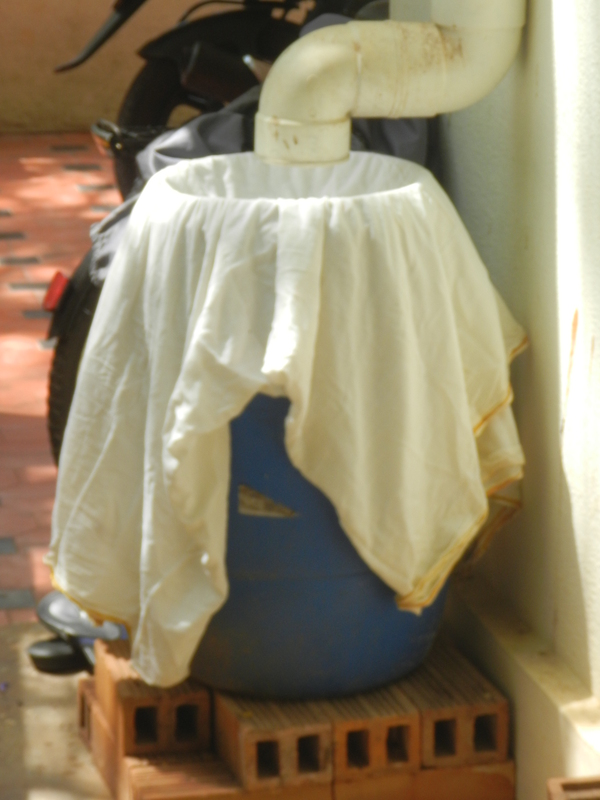 On that note the neighbour has also changed the beautiful rainwater harvesting filter called the ‘panche’ or ‘dhoti’ filter. It is the little things like that count. Being part of the solution is way better than being part of the problem. You are currently browsing the Harvesting Rainwater blog archives for May, 2012.